Samuel Tom Holiday will appear in full uniform for a surprise celebration in a booth at the monthly Georgefest in downtown St. George surrounded by the many medals and awards he has earned. The community is invited to come meet him from 5-7 p.m. and help sing “Happy Birthday” at 6 p.m. when he will be presented with a cake. 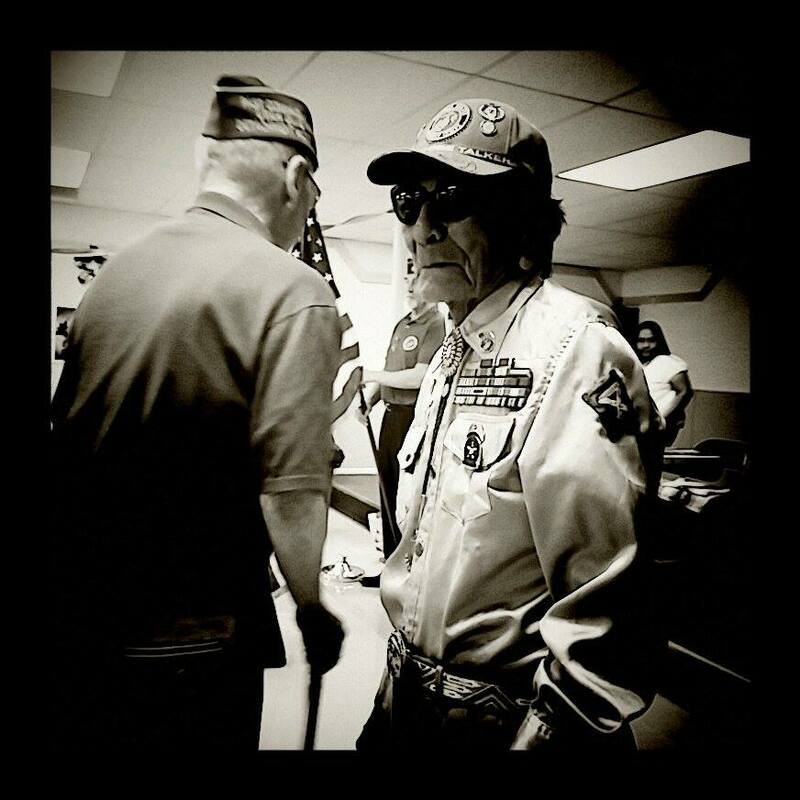 Holiday was one of about 400 Navajo Native Americans to serve with the U.S. Marines as code talkers. As fluent speakers of Navajo and English, they were instrumental in communicating messages between troops in a language indecipherable by Japanese combatants. “We want to bring him out to the community to let people know who they were,” Tya Redhouse, Holiday’s granddaughter, said. Holiday was just 19 when he joined the Marines and was recruited for his special assignment to help fight in the Pacific theater in 1943. Most of the code talkers have died as old age has caught up with them. “There are only about 10 of them that are still with us,” Redhouse said. Navajo is grammatically complex, and at the time of the war, it was not yet a written language and was considered by military officials to be indecipherable. Holiday and his fellow code talkers fought on the front lines where they sent coded messages back and forth about enemy fire, troop movement and the need for medical help, according to a biography about Holiday at the Native American Project website. It wasn’t until 1968 when their activities in the war were declassified that the code talkers first received recognition for their vital role in defeating Japan. 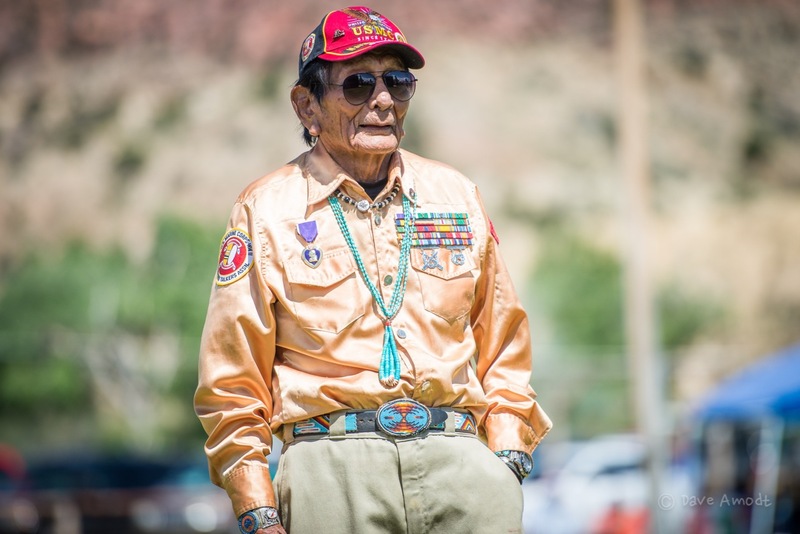 He and other Navajo veterans have since been recognized with multiple honors, including the establishment of National Navajo Code Talker Day by President Ronald Reagan in 1982 and the awarding of the Congressional Gold Medal in 2001. Ed. Note: A previous version of this article incorrectly stated it will be Holiday’s 94th birthday. What: Samuel Tom Holiday’s 93rd birthday celebration at Georgefest. Happy Birthday Mr. Holiday. You and your fellow Code Talkers are heros and performed a tremendous service to our country during the war in the Pacific. Those that aren’t familiar with the Code Talkers should take some time to read about their history and honor their service. There’s a great book called “Windtalkers” written by John Rice that does a great job of telling the story of the Navajo code talkers. A movie was done in 2002 under the same name (“Windtalkers”) starring Nicholas Cage and Adam Beach and is based off the book.